Embattled Theranos CEO Elizabeth Holmes took the stage before 1,000 clinical laboratory scientists in Philadelphia Monday, and if they were expecting a new era of transparency from the 13-year-old diagnostics company regarding its technology and key performance data, they likely came away disappointed. Instead, during her 45 minutes at the podium at the American Association of Clinical Chemistry (AACC) conference, Holmes detailed the launch of a new product, the miniLab, a customizable tabletop device that can perform a variety of clinical chemistry, hematology, immunohistochemistry, and molecular biology assays using a small sample of blood. Used in conjunction with the Theranos Virtual Analyzer (TVA) software that can operate miniLab remotely, Holmes once again said the company would revolutionize the market by moving away from a centralized model of clinical lab testing. Couched as the “next phase of the company,” Holmes promised it “will be working with academic institutions and other independent parties to validate and publish our results.” Among these are a capillary blood collection technique she said would soon be submitted for peer review, but also data from the company’s work on the new platform with the Zika virus, which was recently submitted to the FDA for emergency use authorization. But while Holmes presentation to AACC attendees was intended to shift focus to Theranos’ new product launch, the elephant in the cavernous grand ballroom remained the unanswered questions about the cascading problems the company has faced the past 2 years regarding its lab operations, the lack of any peer-reviewed data for its original Edison platform, and results from its use of capillary blood instead of standard procedures that rely on blood drawn from veins. Since the beginning of 2015, the company has been stung by a Wall Street Journal article citing former employees’ contention that only a handful of the tests it marketed used the company’s technology and even fewer used blood derived from capillary collection. At that time, the company promised to publish data it had submitted to the FDA, a promise that is still unfulfilled. 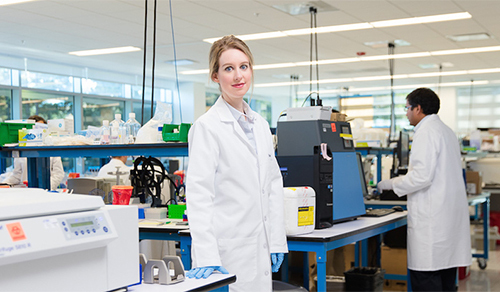 In June, amid safety concerns of its diagnostic procedures and results, and as the company and its laboratory in Newark, CA came under investigation by multiple state and federal agencies, Walgreen’s pharmacy announced it was ceasing operation of all 40 of Theranos Wellness Centers. Given that context, the product introduction yesterday appears to be a strategy to keep the company operating by moving away from delivering services via its own labs, to one that focuses instead on selling products. And while Holmes clearly avoided any direct mention of the continued controversy surrounding the company, she did admit to some mistakes along the way.